Gabon: Is the gouvernement seeking to eliminate physically the leaders of the opposition? According to the leaders of the Union of Forces for Change (UFC), the names of the politicians and their supporters are on the blacklist of the government, which now seek to eliminate them physically, by using foreign mercenaries,. 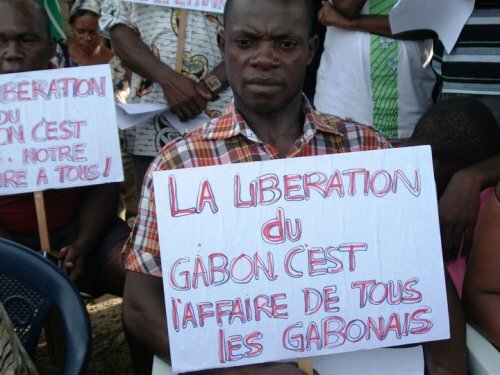 They also complained on the problems of insecurity in Libreville, Gabon. "The names of several prominent opposition politicians, such as Zackarie Myboto, Jean Eyeghe Ndong, André Mba Obame, Jules Aristide Bloopers Ogouliguende, Louis Gaston Mayila, Fabien Mbeng Ekorezock, Paul and Marie Chantal Gondjout Myboto" are on the lists circulating in the black circles safe power, which seek to eliminate physically. It is the opinion of leaders of the Union of Forces for Change (UFC). The leaders also believe that the commando armed and hooded of five people, which introduced recently at the home of Mr. Ndaot Rémbogo, president of the Party for Social Development and Solidarity (PDS, opposition), located in the Top district Gue-Gue, after tying the guard, was sent by members of the ruling party and its allies. "Fortunately, Me Ndaot Rémbogo was not there", say the leaders of the UFC,. They take to witness the international community and invite them to take into consideration this event. Louis Gaston Mayila and other politicians also said in their statement that they do no longer feel safe, in their country. They also invite the population to have confidence and do not be afraid by the insecurity and criminal activities orchestrated by the government, with the help of foreign mercenaries militaries groups and private securities.